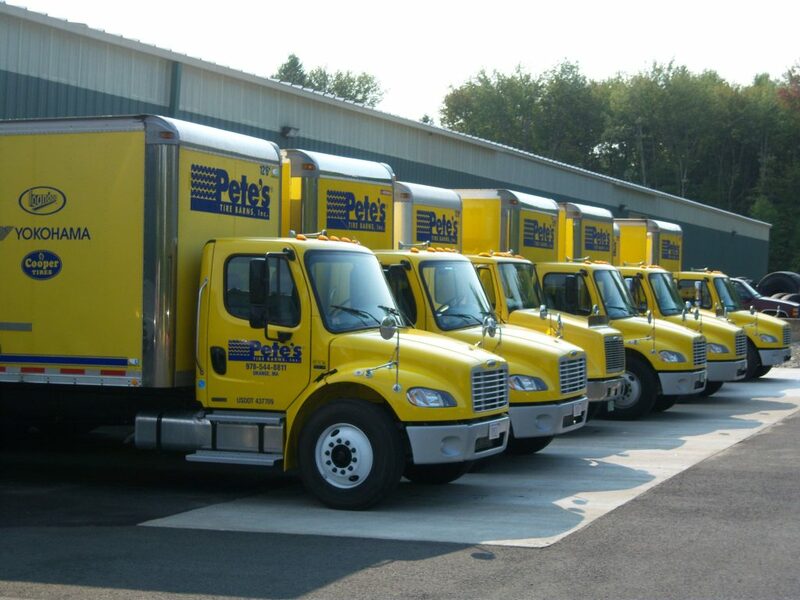 Located in Orange Massachusetts our distribution center was designed from the ground up to be the ultimate tire storage facility for Pete’s Tire Barns. With daily shipments to our network of 19 locations this facility is the hub of our tire distribution system. As the primary receiving point for most of our tire and tube inventory the distribution center is always at work moving products in and out to all of our distribution points. As the primary shipping point for our online tire store, the distribution center also has daily UPS and USPS pickup as well as pickup service from a variety of common carriers including A. Duie Pyle, NEMF, UPS Freight and many more. Housing more than 18 million dollars in inventory is no easy feat in addition to the over 3 acres of enclosed warehouse space this facility also features a huge outside tire storage area and multiple onsite storage units. This allows Pete’s Tire Barns to stock tires that many other dealers don’t even sell, making us the best place for hard to find items.